Quick Review: A medieval story of love, honor, and courage. As a young prince grows up and advances through the military ranks, with his true identity unknown to his friends, he meets a young girl and they become friends. As the years pass their friendship blossoms into true love, knowing that she already has an arranged marriage and he being royalty most certainly has one as well, they still continue with their relationship. As their friendship progresses he must be courageous as he goes through many trials, testing his love for her, his loyalty to the kingdom, and in doing what’s right as an officer and a gentleman. The story spans multiple generations, their families deal with many problems, going from the pain of death, to the joy of birth as they feel the blood of the ancient kings running through their veins. Detailed Review: My first impressions of this book was, to be honest, quite good. I'm not a cover judger, so I just basically ignored it, but it could do with some more work and details because not ALL readers are like me and usually good and beautiful covers attract the crowd. The characters were what made the story enjoyable most of all. They were obviously well-planned characters with consistent personalities with no sudden changes. The story was fine too, it seemed very original to me since I've not read a plot as good as this. This story was well-planned with some subtle twists. It's not those twists which will give you a heart attack or a sudden crying fit but it will do well as well. It's good to not have to recuperate after a heart attack for once, you know? That's why I liked it. The story spans over three generations but it's altogether not too overwhelming. Instead, I felt really comfortable (no sudden twists/no heart attacks) while reading it. I doubt I'd get that feeling in a very long time when reading a book. 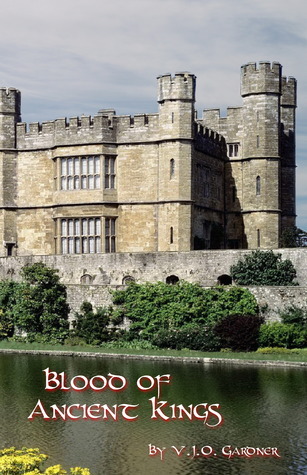 Brief Review: Altogether, Blood of Ancient Kings was an enjoyable debut and I'd love to see some development in terms of Gardner's writing skills in the next book, Quest of The King! Hopefully a better cover next time as well! But I could find no other faults so it will certainly get a well-deserved rating.